Little Hare Books, 9781921541087, 32pp. 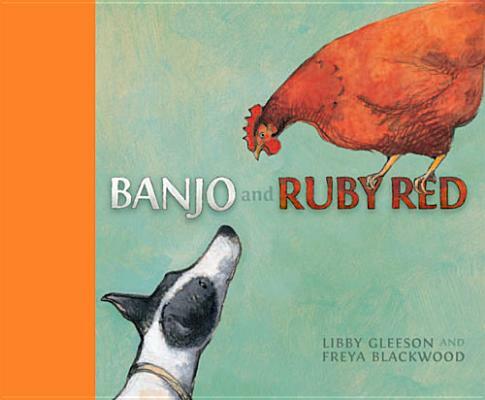 Pride and Prejudice and The Taming of the Shrew meet at the chicken shed in this funny and touching story of antagonism and loveBanjo is a hardworking farm dog and Ruby Red is a haughty chicken, and they never see eye to eye. But when Ruby Red falls ill, the tables seem about to turn. Stunning illustrations perfectly capture the endearing personalities of boisterous Banjo and headstrong Ruby Red. Libby Gleeson and Freya Blackwood are the team behind the acclaimed Clancy & Millie and the Very Fine House and Half a World Away. Gleeson has been shortlisted for the Children's Book Council of Australia awards 13 times and won three times, two of which have been for titles illustrated by Kate Greenaway-medalist Blackwood.